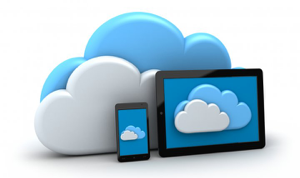 Looking for iPhone cloud storage that you can count on? 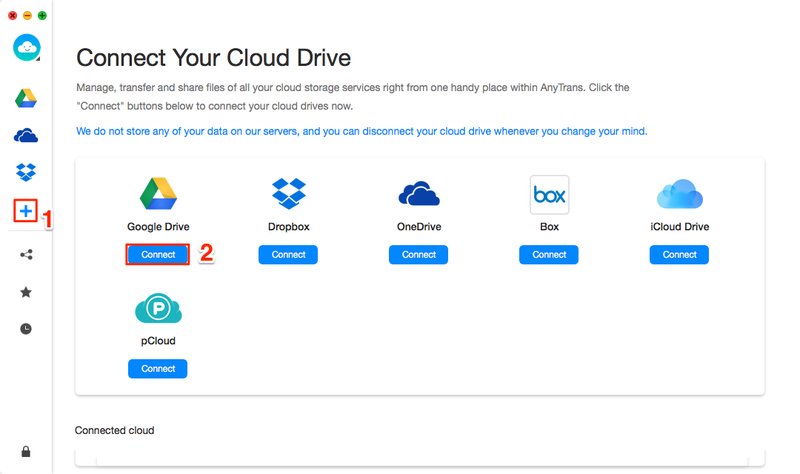 In our guide, you can take a closer look at our top four picks for the best cloud storage for iPhone: Google Drive, Dropbox, iCloud Drive, and AnyTrans for Cloud. 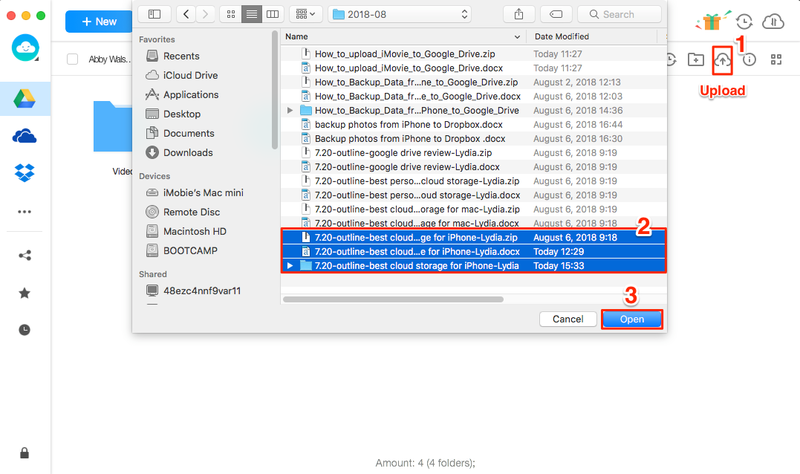 Being able to safely store the photos, videos, and more documents from your iPhone to cloud is incredibly handy, but with so many cloud storages out there, how do you know which iPhone cloud storage is right for you? To make your future file storage and sharing so much easier, we’ve put together a list of four options for the best cloud storage for iPhone, so you always know that your files are kept safe and easily accessible. 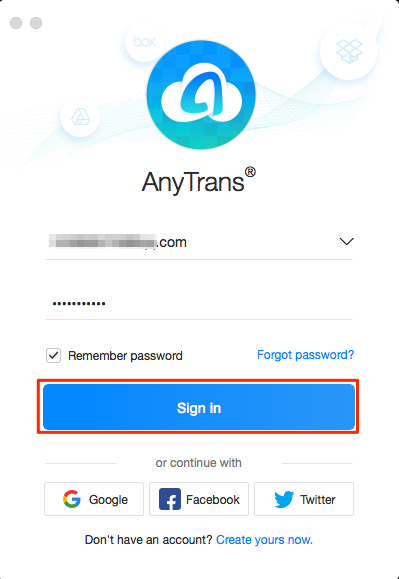 Managing your photos and files on iPhone doesn’t get much easier than with AnyTrans for Cloud, one of the best iPhone cloud storage options around. 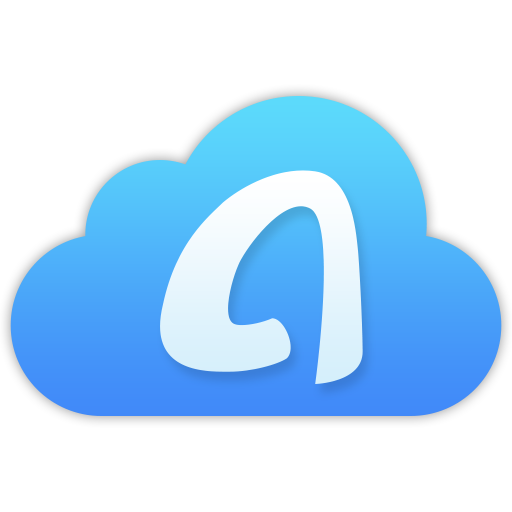 Unlike the other options for the best cloud storage for iPhone, AnyTrans for Cloud gives you brilliant access to multiple drives at once. Step 2 Click on the “+” button and select “Connect” on Google Drive. You’ll need to sign into Google Drive to finish the connection. Step 3 When Google Drive is connected, you’ll see the drive logo appear at the top left of your screen. Click the logo to access your Google Drive and then click “Upload” button. Step 4 Then all you have to do to finish the upload is to select the file you want to upload to Google Drive and click on the “Open” button.